Jamba Juice officially opened a few days ago in Yakima. 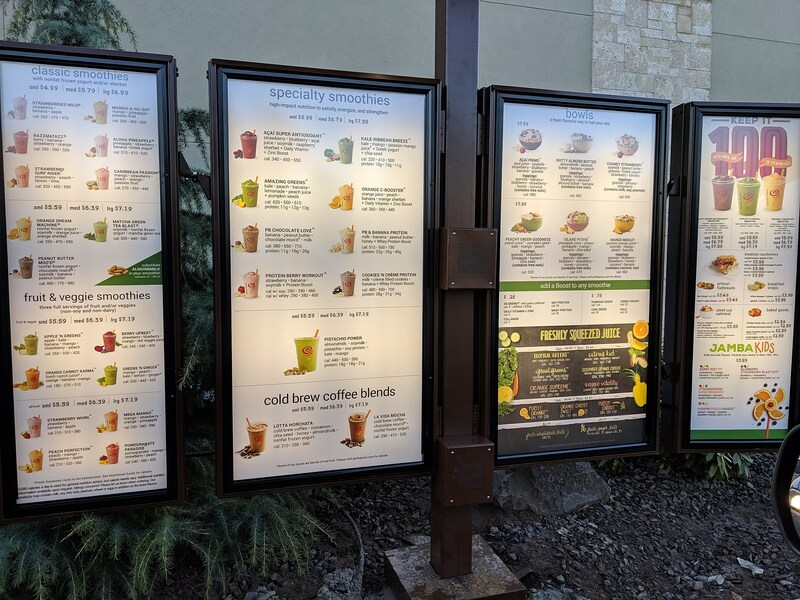 If you're curious about checking out but want to see what's on the menu before walking, I took a photo of the menu for you. I lazily went through the drive-thru as I used to live in a town that had a Jamba Juice so I already knew what I wanted, but there are several more things added to the menu since I last visited this place including breakfast foods and even granola bowls. I'm a huge fan of the Orange C-Booster but you can't go wrong with pretty much anything on the menu. Check them out at Rainier Square on Nob Hill near Solarity Credit Union.